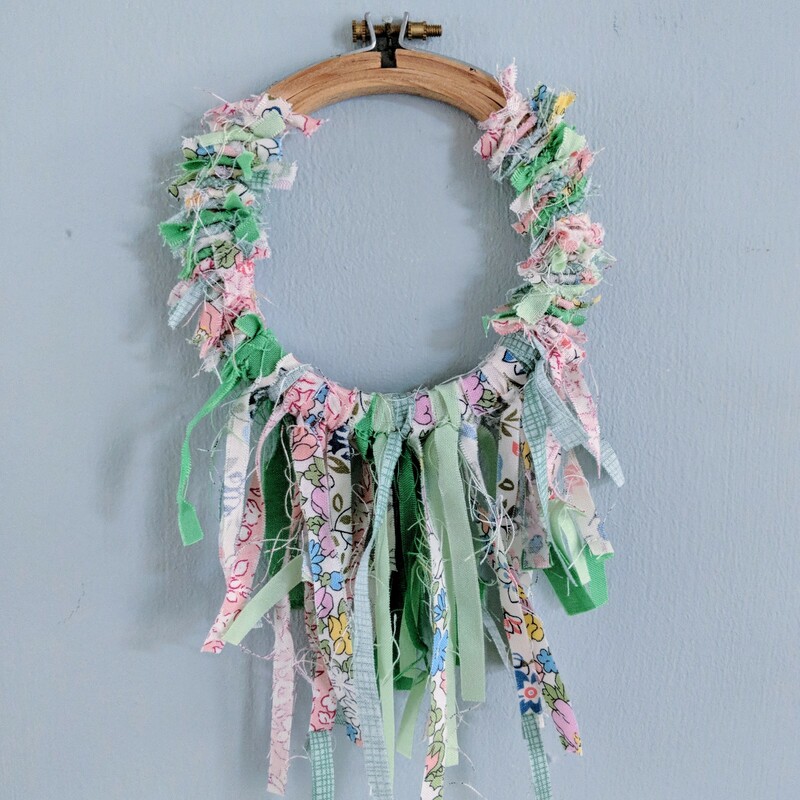 Whimsical, calming and a cinch to create! I'm going to show you how to make a fun 'no sew' fabric wall hanging, using only an embroidery hoop and strips of fabric. 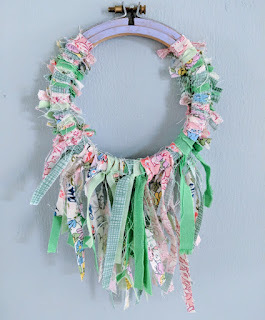 For this project I used a 10cm" hoop, which makes for a cute mini decoration but you could use any size - the bigger the hoop, the more scraps you can bust! I recommend using narrow strips but if you were making a mahoosive one you might want to use wider strips to make it quickly. 1. Divide the fabric strips by length, so you have piles of long and short strips. 2. 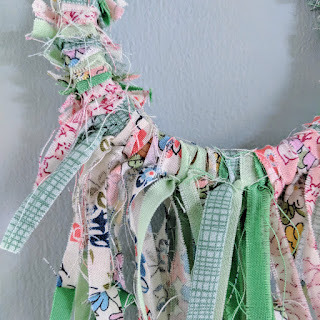 Take the long lengths of fabric and tie to the hoop using lark's head knots. Starting at the bottom of the hoop, take your longest strip and fold in half length ways. Feed the folded end through the hoop and pass the ends of the strip through the loop created by the fold, creating a knot. Pull to tighten. 3. 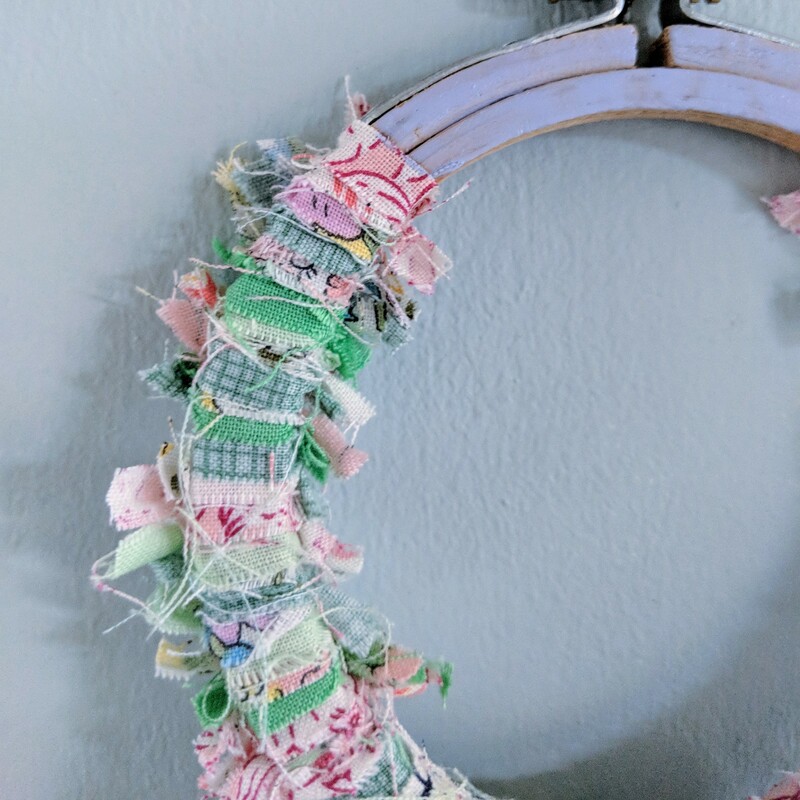 Continue tying strips, pushing them close together until you've covered the lower portion of the hoop. I created a sort of gradient, using the longest strips at the very bottom and getting smaller as I worked up the curve of the hoop. 4. Once you've covered about 1/4 of the hoop with longer strips you can move on to the shorter strips. Feed one end of a short strip through the hoop and tie with an overhand knot / single knot. If your strips are long enough you could tie a double knot but since it's a decorative hanging I wasn't concerned about the knots coming undone. 5. Continue tying short strips, keeping all the knots on the same side (i.e. the front or back of the hoop). Trim the ends of the strips after knotting to keep them even. 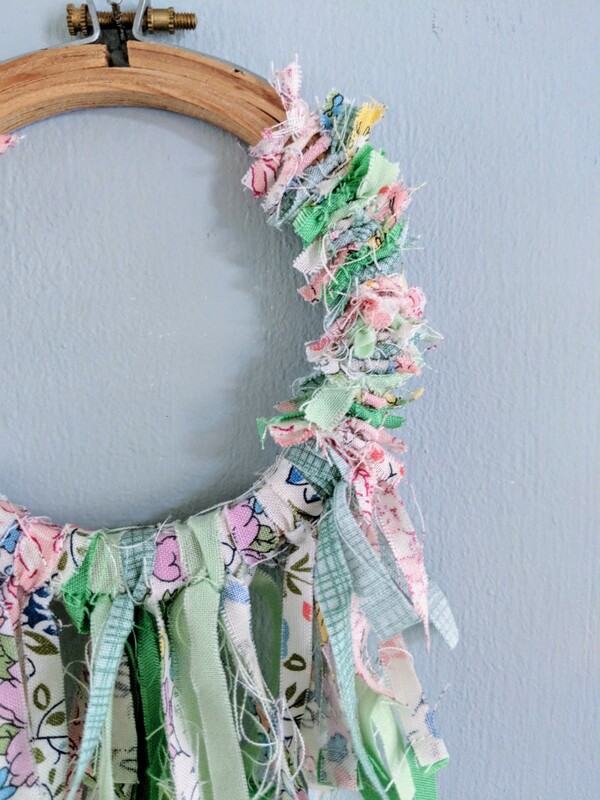 You can completely cover the hoop or leave a section uncovered as I have. 6. 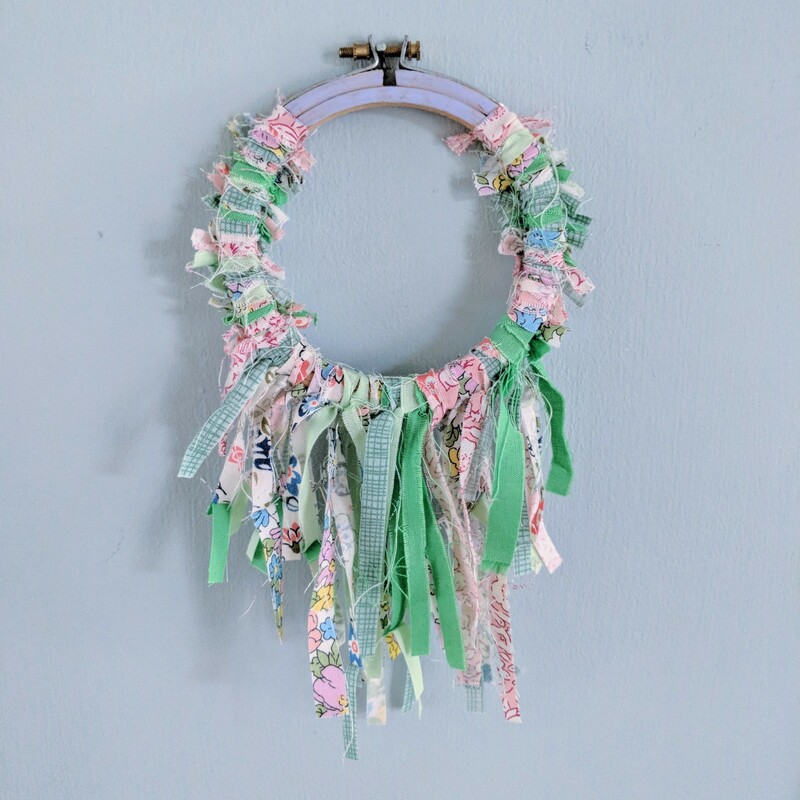 The hoop becomes double sided and can be hung either way, with the knots at the back or the front depending which look you prefer! 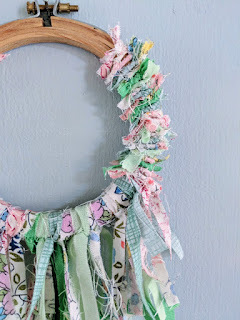 As an optional extra, if you have left part of the hoop visible, you can paint it or decorate it. I used my current favourite nail polish colour as it complimented the fabric well. It has a nice washed look and a lovely sheen! 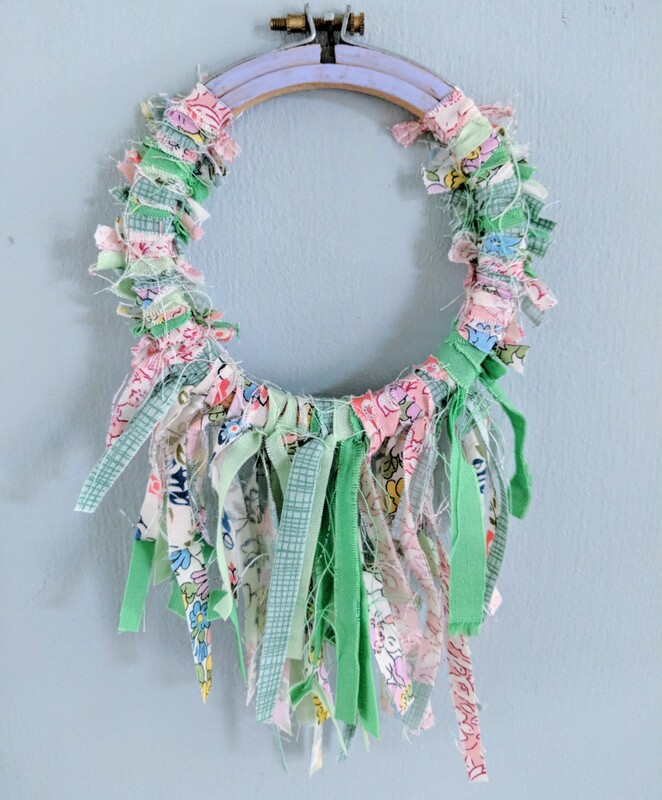 You could use washi tape wrapped around the hoop too. It would be easy to personalise and write someones name or a message... so many options! 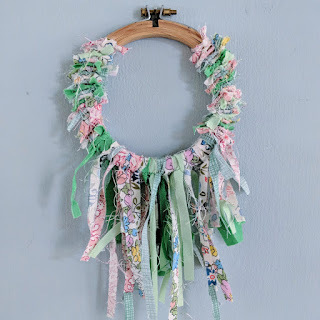 I hope you enjoyed this tutorial - it would be a fun project to do with kids over the summer holidays or just for you to relax and enjoy a quick, simple make. 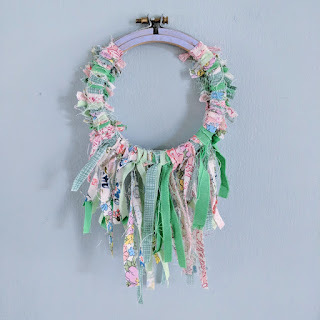 It makes a very pretty, tactile hanging and I know I will be making more, there's a bag of fabric strings waiting! !